Rock In Purgatory is presented as a parody music magazine. So alongside the awesome comic strips, you’ll get a poster pull out section, fake ads for tours and instrument endorsements, articles about the bands who have influenced the strips and behind the scenes pieces that show how the art came together. Heads! begins on 29 May and one of the primary story arcs revolves around a band called Vortex Face. This band’s first appearance features in Rock In Purgatory and serves as a prequel to the events they instigate in Heads! 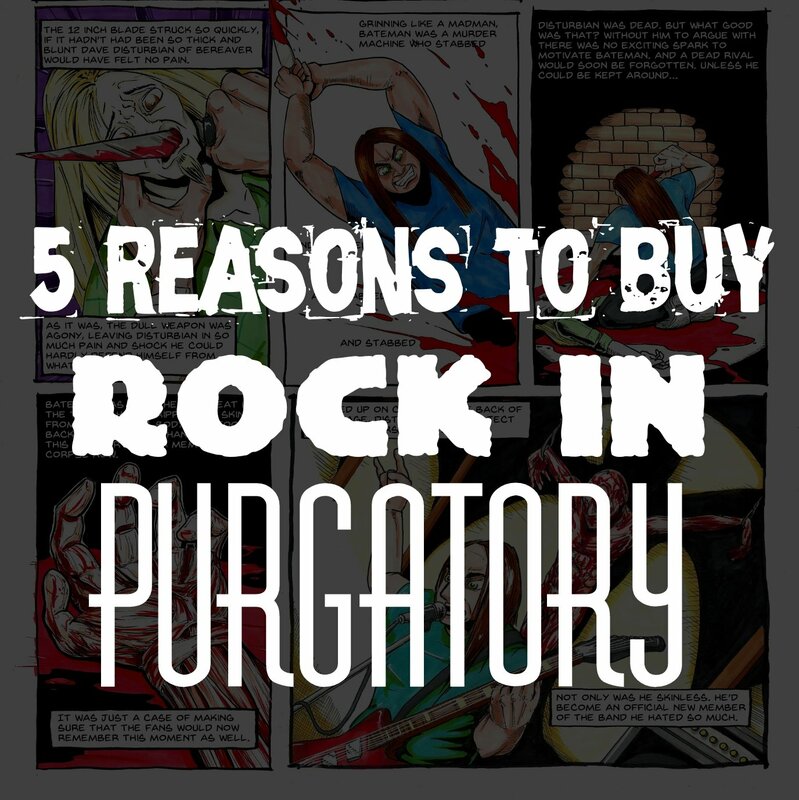 Get yourself ahead of the curve by buying Rock In Purgatory. Though it ran as strip in Popcorn Horror magazine for over a year, this collection brings all the published strips together with loads of others that have never been seen before. Discover awesome new bands who meet incredible and outrageous deaths! Rock In Purgatory combines heavy metal music, horror movie gore and comic book sequential art. If you love any or all of those genres then you are bound to find something in this collection to amuse and entertain you. So what are you waiting for – go buy a copy now! Rock In Purgatory available to order! Get over to my store and order your copy of Rock In Purgatory right now! A long last, the print edition of Rock In Purgatory can be yours. The comic is being finalised with the printers, ready for shipping in May. As well as the 48 page full colour print edition of the comic, you can buy bundles including exclusive art prints and awesome badges too. I’m really excited to finally have this comic in print format and am looking forward to getting copies out to everyone who loves Rock In Purgatory as much as I do. I will soon be booking onto comic events for later in the year, so stay tuned for news on where you can meet me. Buy the comic now – or read some free samples to try before you buy. 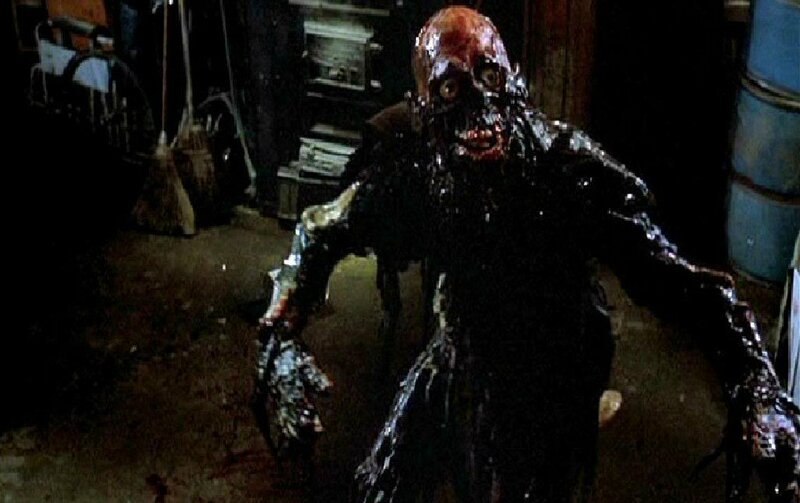 Love VHS horror and unpleasant comics? Then you need Unfortunate Tales From Planet B in your life! Written by awesome awkward writer Ken Wynne and illustrated by yours truly, Unfortunat Tales is a new horror webcomic published on the Attack From Planet B website. Riffing off of classic horror movies and sub-genres, this fortnightly strip will be providing your horror comics fix from now on. Presented online, Unfortunate Tales utilises the traditional three panel newspaper strip format and slaps it in your webcomic loving face. Make sure you check out the first edition now. Follow me on Twitter for updates and be sure to follow Ken Wynne and Attack From Planet B as well. Groupies, gore and guitars – it must be more Rock In Purgatory! Yesterday’s Screws was loads of fun to create. Not only did I get to draw comics like usual, I got to splatter the pages with fake blood! Sadly, I didn’t get to take photos, but let’s just say that when my girlfriend came home to see the physical effects in our kitchen it made me realise this strip was going to be a hit. Tackling the concept of groupies was a bit of a challenge. People make their own choices as to how they wish to behave, but I wanted to explore the idea of how over confident personalities can convince people to do things they may not normally do. The resulting comic addresses infidelity, regret and revenge, while also allowing for a classic slasher-style murder scene. 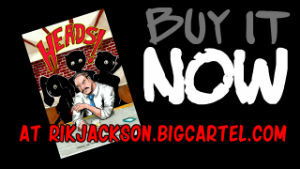 You can read all Rock In Purgatory comics for FREE. Schlock horror and gore abound in Brutal Bombshells! Sweaty Suzy is the opening charatcer in Brutal Bombshells, my debut horror comic. Her tale was the first that writer Craig Jex and I collaborated on when we decided to create the comic. The story is typically over the top, and sets the tone for the rest of the comic. This cover image has also caused controversy when exhibited due to it’s graphic nature. I take pride in it managing to upset staff at an alternative and fetish market I was part of – from a distance they thought it was an eloborate corset illustration and were sickened when they got up close! There are a very small number of copies of Brutal Bombshells still for sale. You can buy the comic from my store, as well as picking up prints of each of the six characters. Radvent Day 16 – Peekaboo! Everyone loves a good ghost story at Christmas. Though this is an older piece of mine, I still love the simple horror of it all. If you don’t like creepy ghosts then you better not read Peekaboo! Published in horror anthology Dark House from Haylestrom Comics, Peekaboo was inspired by actual events. Not so much that my house was defintielty haunted (though who am I to say…) but more to do with my baby son looking intently at a corner of our living room as though ‘somone’ was there. Check out the short story in full for FREE now, and get back here for more Radvent tomorrow.